Feliz (belated) dia de muertos! 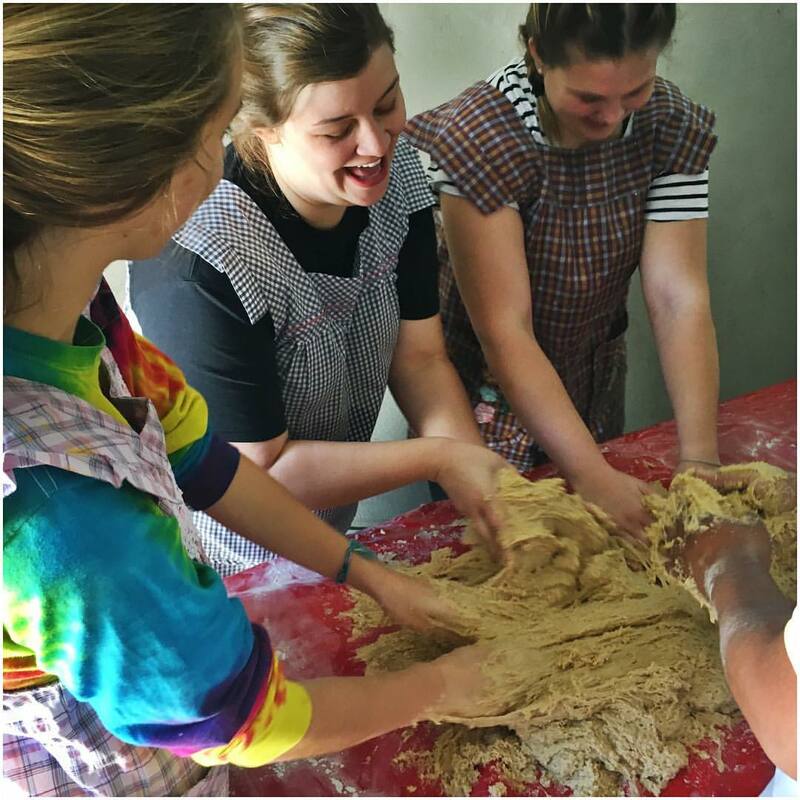 These past few days have been a whirlwind of activity celebrating the Day of the Dead, marking the culmination of over a month of preparation. 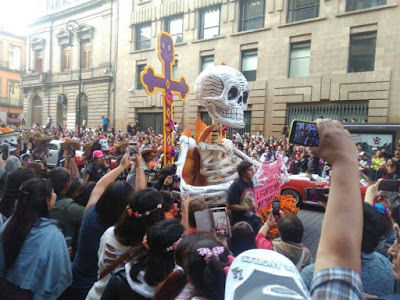 As October progressed, Mexico City seemed to thrum with more and more energy, as people prepared their ofrnedas, the city organized for the first desfle de muertos, and everything seemed to erupt in color. 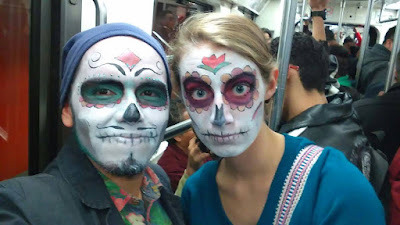 Day of the Dead, or Dia de Muertos, is a holiday celebrated on the 1st and 2nd of November, with roots in both indigenous and Catholic traditions, and dating back hundreds of years. 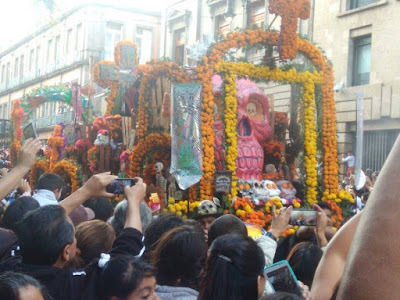 The traditional belief is that on these days, the spirits of deceased are able to come back to earth, with the first day traditionally recognizing the spirits of children who have passed, and the second day recognizing adults. 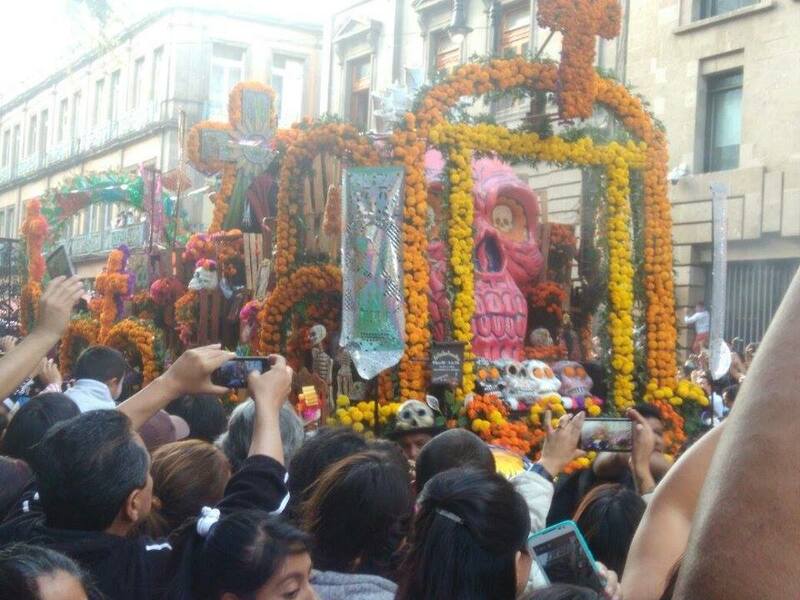 Many families erect ofrendas in their homes to welcome spirits, which often feature fruits, pan de muerto, sweets, candles, photos of loved ones, flowers, and brightly colored papel picado. 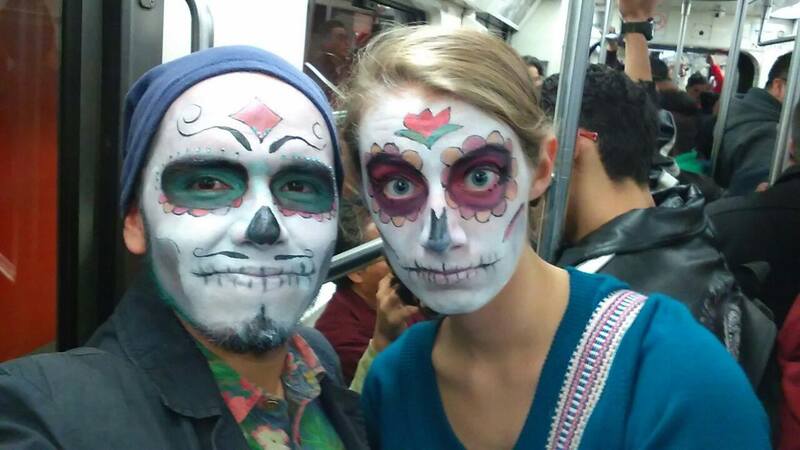 Although Day of the Dead traditions are mixing more and more with Halloween influences, many families dress up with the traditional catrina/catrin makeup, inspired by the images of a finely dressed calavera, or skeleton, made famous by cartoonist Jose Guadalupe Posada, which that has now come to serve as a symbol of Day of the Dead. 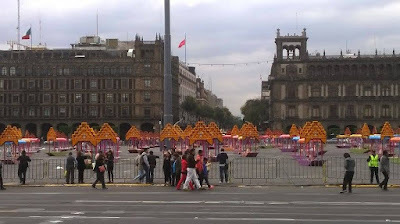 Many families clean and decorate the graves of loved ones, and the holiday is seen as a time to honor the life and memories of your queridxs. 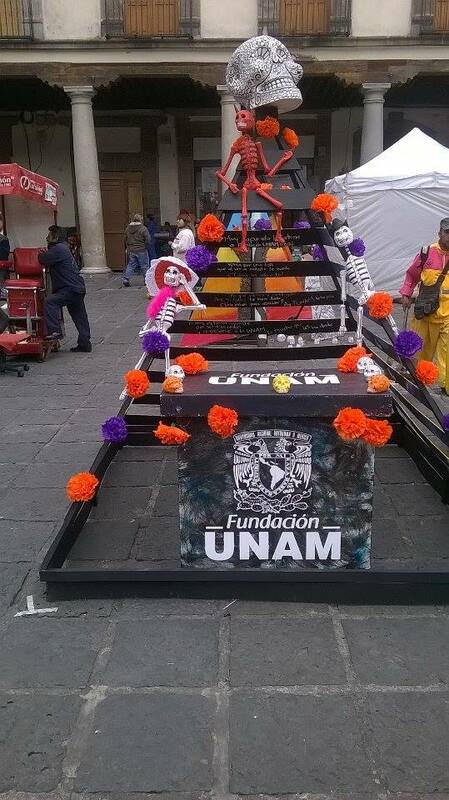 For more about the history of Day of the Dead, (and especially the food!) check this out. This perspective on death is very different from the traditional US perspective-death is seen more as the next step or another stage of life, rather than a finality, a perspective I find a little more healthy. 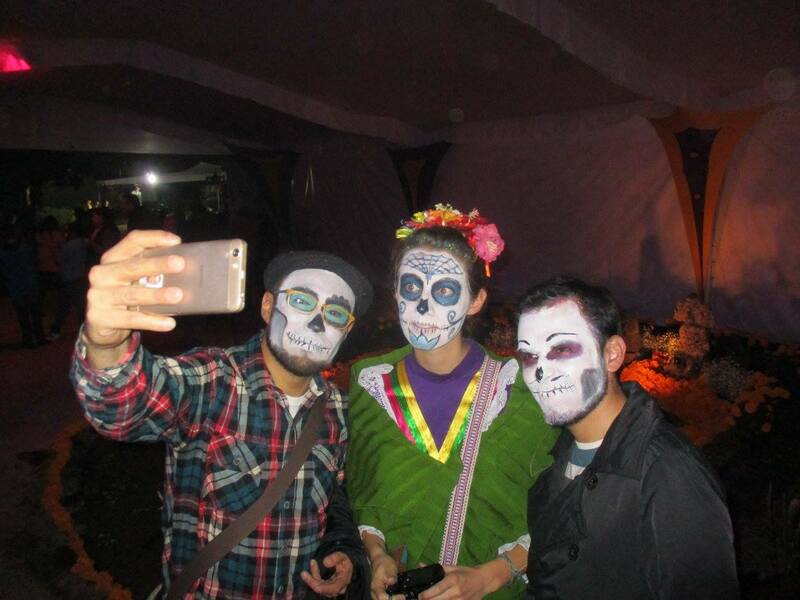 As my host dads told me, ¨Day of the Dead is more about life than death.¨People were often surprised to hear that in the US context, death is often a taboo topic and after someone´s funeral, we generally don´t have specific occasions where we honor their life or memory. 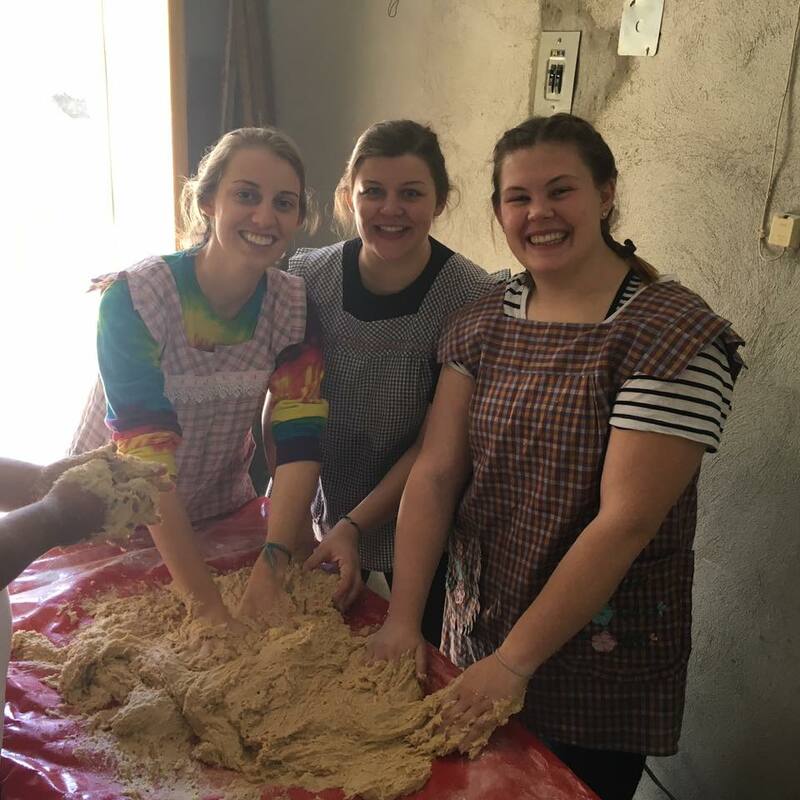 I was welcomed into the Day of the Dead celebrations by my host community, and I could write for pages about my experience. However, at the risk of sounding trite, I also believe a picture is worth a thousand words, so I thought I would make this particular blog post a little more visual and share some of my favorite pictures from my experience with Day of the Dead. 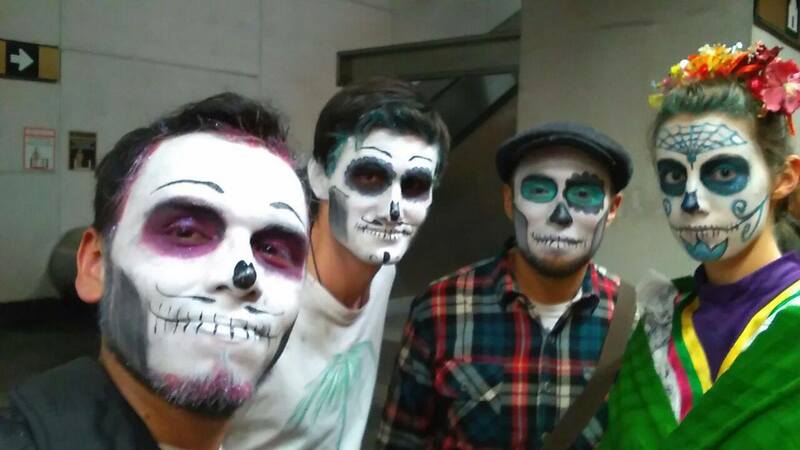 My first experience with catrina makeup, thanks to Nef´s artistic talents. 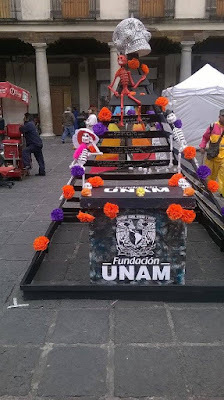 The festivities began with a trip to Plaza Santo Domingo, where various groups had created ofrendas with the theme of Rufino Tamayo, a famous Mexican artist. 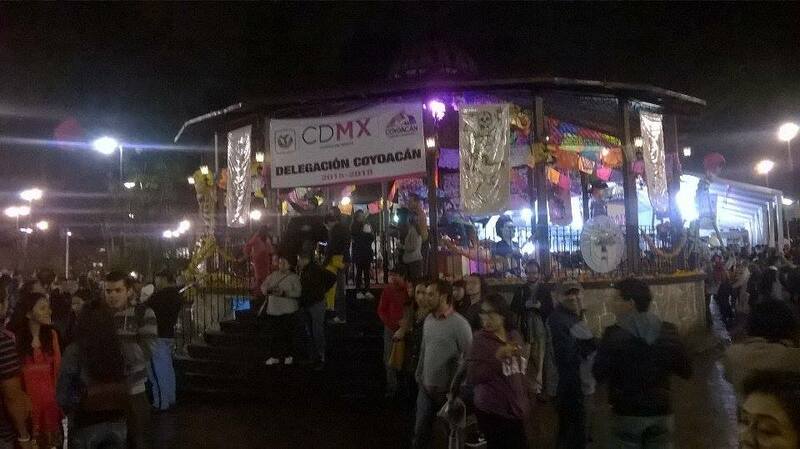 A display of trajineras, or boats, that cruise through the canals of Xochimilco. One of the most moving ofrendas I saw was at the Museum of Memory and Tolerance, which created an ofrenda in memory of migrants who have perished on their journey to the United States. 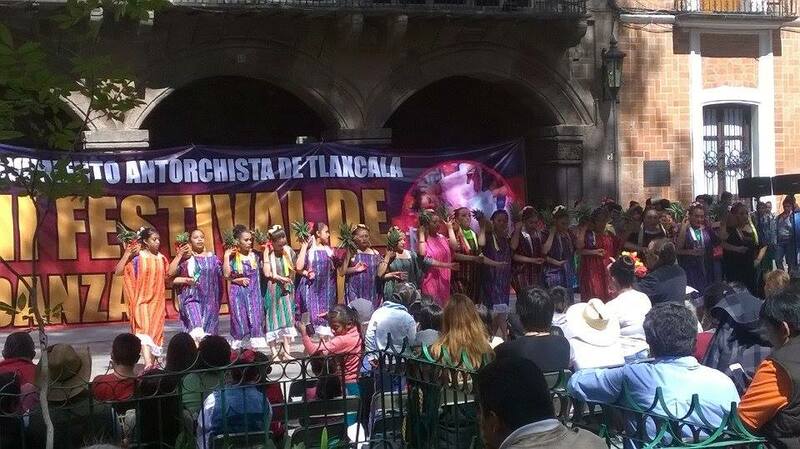 In Tlaxcala, we also had the opportunity to visit a festival of traditional dances from all regions of Mexico. This year, Mexico City had it´s first official desfile de muertos, inspired by the opening scene from the recent Bond movie Spectre. 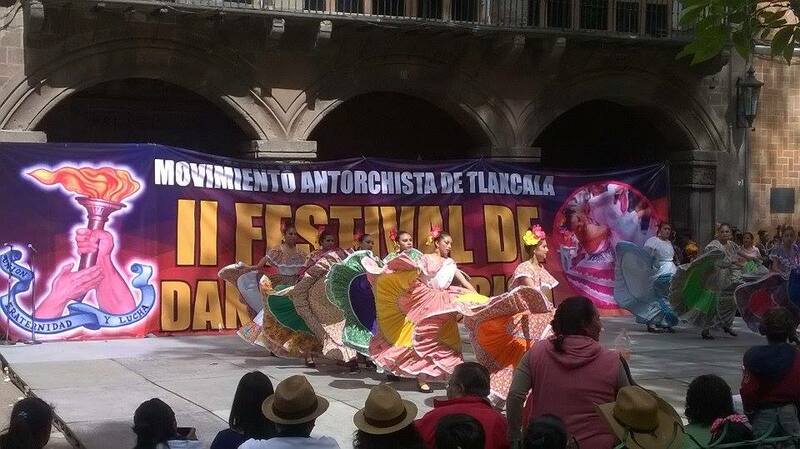 Above are some of my host dads´ pictures from the event. 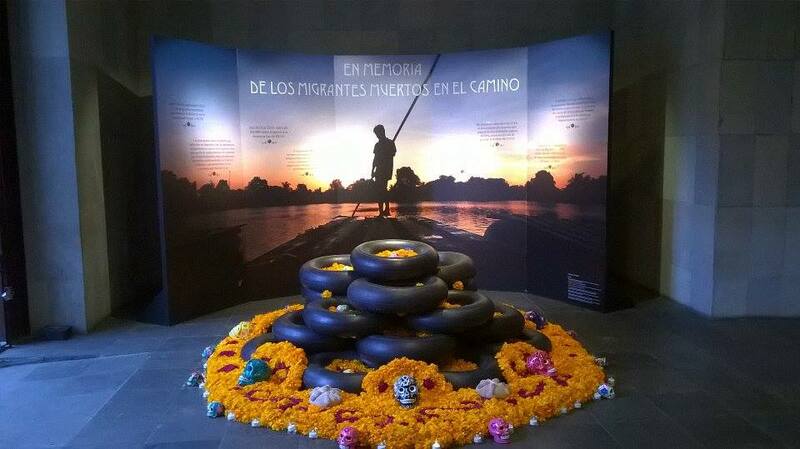 At the CEE, we created an ofrenda honoring the founders of the CEE, one of which was a Lutheran pastor! My coworkers Anabel (left) and Mariana (right) helping to prepare the ofrenda. 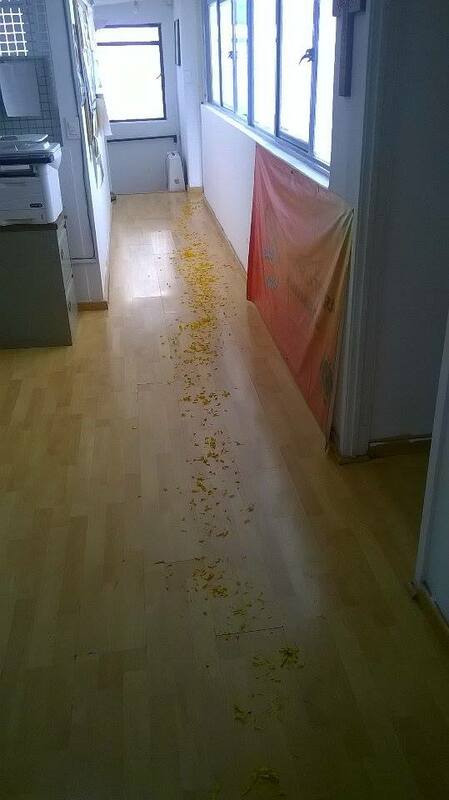 Leaving a trail of flower petals, which is traditionally thought to help the spirits find their way to the ofrenda. My coworker Anabel and I were able to attend the festival of chocolate and pan de muerto in the Coyoacan neighborhood, which is known as a bohemian center for artists and thinkers, and the former home of famous artists Frida Kahlo and Diego Rivera. An ofrenda for the famed Mexican artist Frida Kahlo. 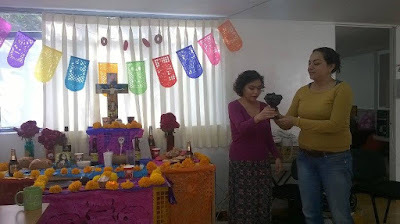 One of the most beautiful moments for me was when we created our family ofrenda in our house, combining pictures of Nef and Dani´s grandparents and my great-grandparents and grandfather. 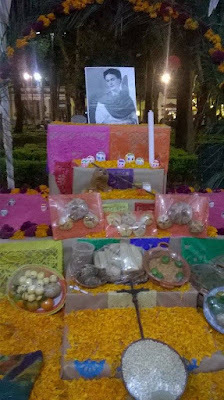 My paternal grandfather passed away a year ago this October, and it was a bittersweet moment to place his picture on the ofrenda. One of the joys about my experience here has been sharing stories of my family and learning about my host family, and this ofrenda represents the joining of my US family and my host family here in Mexico. With Nef (left) and Dani (right) in full catrin/catrina makeup. 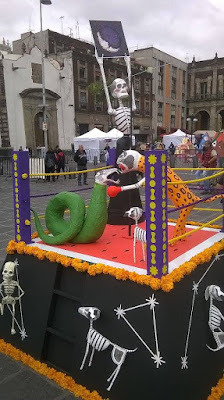 On Nov. 1st, we went to Mixquic, which is a small town on the outskirts of Mexico City famous for its Day of the Dead ofrendas, and the throngs of people who come do adorn graves in the cemetery. 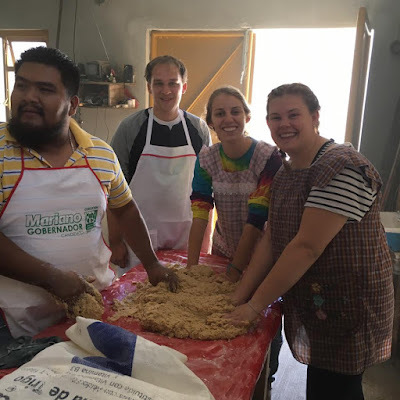 We were also joined by my fellow YAGM volunteer Justin (second from left). 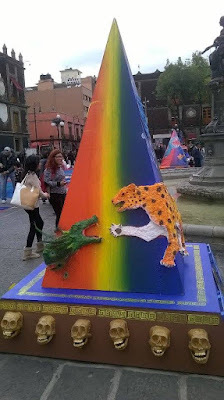 Nef´s mom was extremely kind, and lent me her gorgeous dress and accessories. 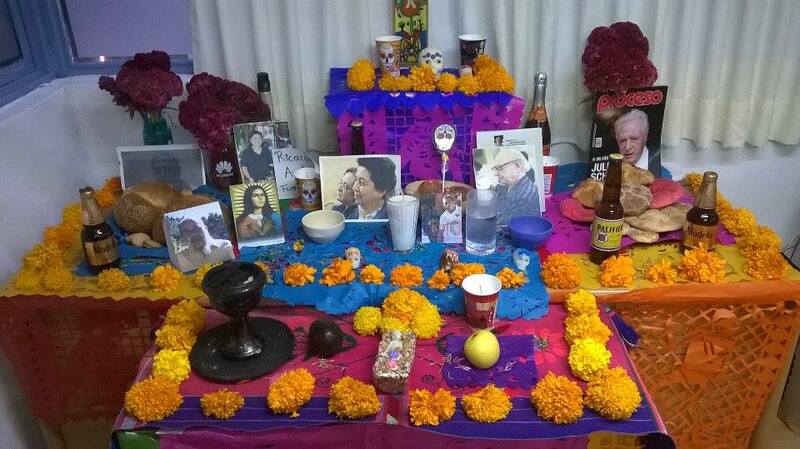 Some of the ofrendas at Mixquic. We were able to hear a famous singer from the state of Oaxaca, who sang many of her songs in the indigenous language. 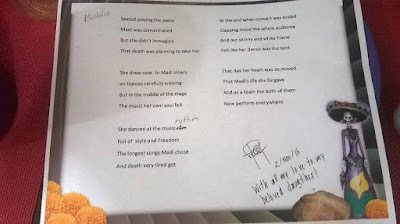 Dani wrote me an extremely sweet calaverita literaria, which a traditional comic poem written for someone for Day of the Dead. 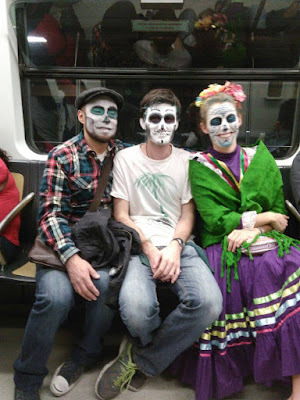 This is one of my favorite pictures, as I believe it represents how traditional Day of the Dead customs are incorporating new traditions. 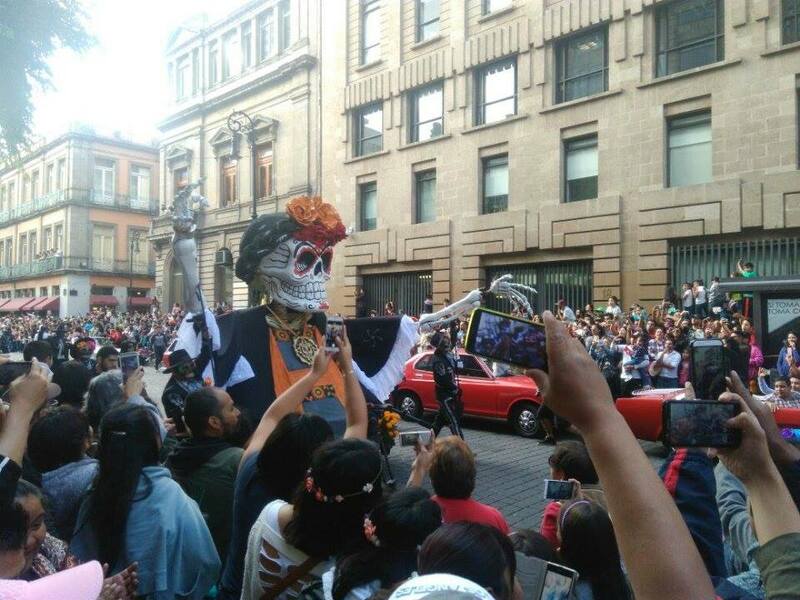 My host community welcomed me into their celebrations, and made Day of the Dead an experience I will never forget.